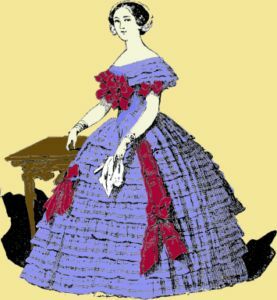 In the 1840s and 1850s ladies wore gowns with low tight-fitting waists, and had bell shaped skirts. Shoulders were narrow and sloping. 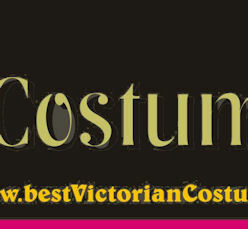 Bodices were boned, and the Victorian lady may have found arm movement restricted by the heavy styling. A tight fitting slim waist was seen as desirable, and was emphasised in the styling of dresses. 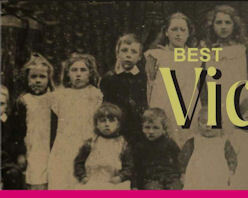 It was popular to cultivate a sentimental look with ringlet hair styling, while a Victorian woman would emphasise her modesty by wearing freshly laundered detachable white collars and false undersleeves called engageantes which were often made of delicate fabric and gave an air of refinement and daintiness. Beneath a lady’s gown, if we may go there, she wore corsets and layers of flounced petticoats with a knee-length chemise, which was a simple shirt-like garment worn next to the skin to protect clothing from sweat and body oils. The chemise and petticoats were replaced by pantalettes and the crinoline as the size of the skirts expanded. Pantalettes were a form of leggings or long drawers which originated in France in the early 19th century. Although they might be one-piece garments they also were worn as two separate leggings, attached at the waist with buttons or laces. 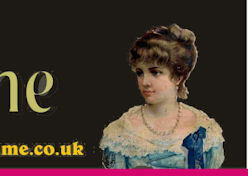 They were most often of white linen fabric and were generally decorated with tucks, lace, cutwork or broderie anglaise. The crinoline was a garment stiffened to give a beehive shape. The French word crin meant horsehair. Victorian ladies might wear up to six petticoats to shape their dresses, but these became uncomfortably heavy, and warm in the summer. In 1856 an American patented a steel framed cage designed petticoat, and this provided a much lighter shaped garment for ladies. During the daytime dresses were worn with a solid bodice, but in the evening it was the custom to wear them with a very low neckline off the shoulder, and these were accessorised with sheer shawls and opera-length gloves. In the 1860s it became more commonplace to wear a separate bodice and skirt, as this allowed for greater emphasis of the narrow waist. On the head the early Victorian Fashion changed from an extravagant hat to a simpler bonnet, often with lavish trimmings. 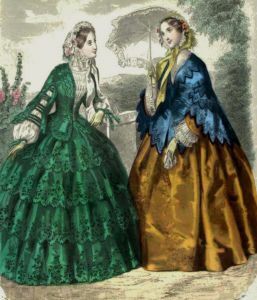 It should be noted that the extravagant Victorian fashion was restricted to the upper classes, while the working class had much more modest design. 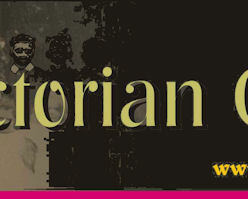 In the early Victorian era men wore tight fitting frock coats which reached to the calf. The custom was to wear a single or double-breasted waistcoat with a shirt of linen. For formal occasions, a morning coat with light trousers might be worn in the daytime, while dark trousers and tail coat would be worn in the evening. At the neck wide cravats or neck ties were worn. Breeches were sometimes used for horseback riding and other occasions. The upper classes wore top hats, but lower classes wore the bowler hat. During the 1850s, men started wearing shirts with high upstanding or turnover collars and four-in-hand neckties tied in a bow, or tied in a knot with the pointed ends.